Three buttercups ?!. I used adobe photoshop to change the powerpuffs into three blossomes. 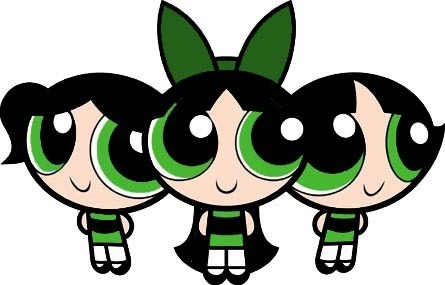 Wallpaper and background images in the las chicas superpoderosas club tagged: buttercup powerpuff girls powerpuff.